Sam had her first taste of North Island as an environmental assistant on a short training stint in 2010, but after one month she yearned for more. She returned to join the North Island team permanently. As an all-rounder with a passion for hospitality, Sam has spent time in both Guest Relations and Food & Beverage and has grown into her current role as Head Waitress, learning everything on the job to succeed. Sam originally went to teaching school, but felt it wasn’t her true calling. At heart, she loved the outdoors and was drawn to tourism. She wanted to work surrounded by the natural environment and to show off Seychelles’ true beauty to all her visitors. When Sam stepped onto the beaches of North Island, she knew she had found the best of both worlds. I fell in love with the place. North is one of the most unique places in the world. A place where you can think. I just love it. Sam took to hospitably like a duck to water. It’s in her nature to care for guests, and she learnt the rest of the tools of the trade through on-the-job training. She loves that there is always plenty of opportunity to grow within her department. Her peers, managers and mentors taught her about North Island’s philosophy and what bespoke service truly means. Sam feels this is something unique to North and she thrives off this in her job. 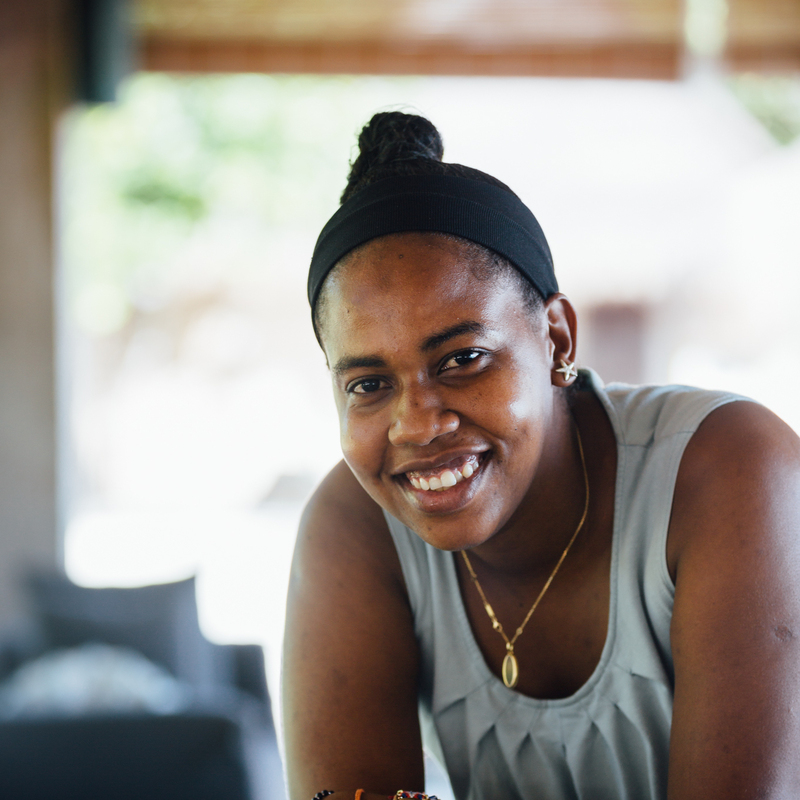 With only 11 villas on the Island, you really get to know your guests and their preferences, allowing Sam and her team to completely personalise a guests’ F&B experience. She enjoys the one-on-one relationship with guests and likes meeting new people and learning about different cultures and nationalities around the world. An important part of Sam’s job is maintaining the high F&B standards on North Island to ensure consistency from visit to visit. North Island has loyal guests who love to return and Sam helps to make sure that the experience is on point for every stay. When Sam isn’t working, she loves to visit her family on Praslin, another natural paradise which is home to the Vallée de Mai Nature Reserve and UNESCO World Heritage Site. She also enjoys spending her time off on the Island, swimming and kayaking and taking in the Island’s exquisite natural beauty.